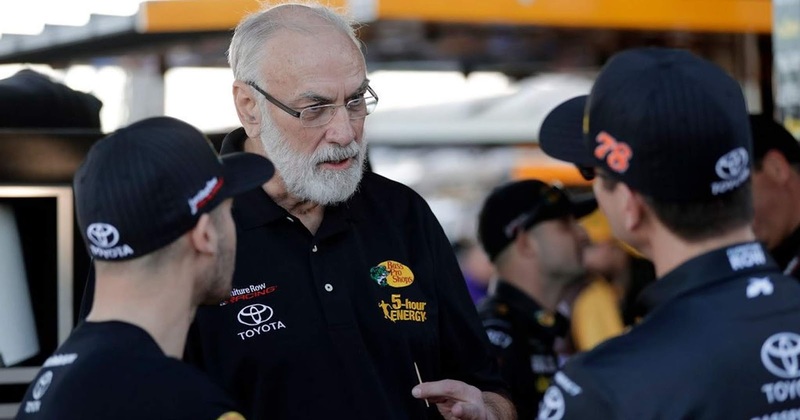 Barney Visser is pulling the plug on Furniture Row Racing at the end of the 2018 campaign. That decision will leave a reigning series champion (Martin Truex, Jr.) without a ride for the first time since Blue Max Racing closed its doors just a year after winning the 1989 premier series title with driver Rusty Wallace. No matter how you slice it, that’s bad news for NASCAR. The 69-year old Visser first fielded entries in what is now the Monster Energy and Xfinity Series with driver Jerry Robertson in 2005 and self-funded the effort until 2016, when backing from 5-hour ENERGY and Bass Pro Shops allowed him to remove his Furniture Row and Denver Mattress brands from the quarter panels for the first time. 5-hour ENERGY and Bass Pro have backed the team this season, with 5-hour contributing a reported $10M per year to the team’s coffers. 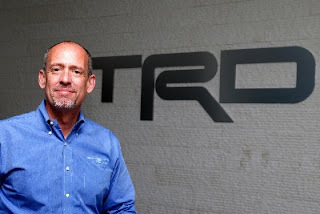 The energy shot manufacturer announced in mid-July that it will not return in 2019, however, leaving FRR very little time to secure a replacement. Visser" "The numbers just don't add up." So what happens now? What does the demise of Furniture Row Racing mean for its employees and for the sport itself? Shed no tears for Martin Truex, Jr. In the last three seasons, the Mayetta, NJ native has established himself as one of NASCAR’s brightest and most competitive stars. With 17 victories and a Monster Energy Cup Series championship since joining FRR, Truex can virtually write his own ticket in the NASCAR garage. He enjoys an extremely close relationship with the powers-that-be at Toyota, and TRD USA president David Wilson said Tuesday on SiriusXM NASCAR Radio that the manufacturer has no intention of letting him go. As of now, the only remaining Toyota organization in 2019 will be Joe Gibbs Racing, and multiple sources say Truex, Pearn and the Bass Pro Shops sponsorship will move to JGR’s No. 19 Toyota next season, replacing youngster Daniel Suarez. Suarez and his full-season ARRIS backing will reportedly shuffle off to Leavine Family Racing, which assumes Furniture Row’s previous position as the number two Toyota organization, behind JGR. Team owner Bob Leavine has done yeoman work since entering the NASCAR ranks in 2011, but has never been able to attract the type of top-tier talent and sponsorship that would allow him to contend for championships. Veteran Kasey Kahne – currently 27th in the championship standings – failed to provide a anticipated adrenaline boost this season, and announced last month that he will retire at season’s end. A coveted spot at the Toyota table; complete with a JGR technological partnership, a talented young driver like Suarez and a full-season sponsorship from Arris should be just what the doctor ordered. While declining to discuss LFR specifically, Toyota’s Wilson confirmed that the automaker is interested in replacing Furniture Row, and that qualified teams have expressed an interest in joining the lineup in 2019. “I would certainly like to think (that could happen).” he said. “But the key isn’t just adding a team; that is relatively easy to do. What’s critical is doing it in a manner so you have all the ingredients that put you in a position to win. That’s how we won the last two manufacturers championships with arguably the fewest number of teams and drivers. It has been an intentional strategy that puts quality over quantity. Racing at the pinnacle of NASCAR is no longer financially viable for Visser, whose net worth is estimated at more than $200 million. If Barney Visser can no longer afford to play in NASCAR’s sandbox, there aren’t many people out there who can. With top-flight NASCAR sponsorships now in the $28-30 million range – with an equal amount required for marketing and activation – fewer corporations than ever have the financial wherewithal to take part. Visser’s decision to step aside is a warning shot across the bow for NASCAR; the clearest indicator yet that the cost of competition has become more than the average multi-millionaire can muster. That needs to change, and soon. It’s easy these days – and popular – to beat the “cost control” drum. In theory, the sanctioning body, its team owners, drivers and fans all share common ground, advocating budget cuts in the hope of creating a new, more affordable NASCAR. Unfortunately, that common ground turns to quicksand when it’s time to talk specifics. Earlier this season, NASCAR attempted to cut cost by mandating new, standardized air guns as part of the sport’s pit road protocol. Midfield and backmarker teams hailed the move, saying the guns saved them hundreds of thousands of dollars in research and development costs. The front-running teams – who had already spent their R&D money and were reaping the fruits of that labor on Sunday afternoons – were vocal in their opposition to the change. They alleged that the so-called “spec guns” were flawed, accusing them of failing in the heat of competition and jeopardizing the safety of crewman and drivers alike. In the end, it was revealed that the guns in question had been intentionally “hopped up” by the high-dollar teams, utilizing helium gas -- rather than the recommended nitrogen -- in an effort to increase RPM and improve pit road performance. So much for pulling together to cut expenses. Despite periodic pushback from its teams, NASCAR must continue to examine ways to cut the cost of competition. The Ilmor-produced NT1 “spec engine” has dramatically reduced the cost of racing for many teams in the Camping World Truck Series, as has the composite body now utilized in Xfinity Series competition. “Enhanced weekends” – where the customary three days of practice, qualifying and racing are condensed into just two – have been instituted at a number of venues this season; all in an attempt to trim the bottom line. Those initiatives need to be expanded and other projects explored, if the sport is to regain its lost footing. When it cost $4 million to field a competitive NASCAR Grand National or Winston Cup team, the sanctioning body routinely sent a dozen or more cars home after qualifying. Today, 40-car fields are the exception, rather than the rule, and the number of full-season sponsors can be counted on the fingers of one hand. When only millionaires can afford to play, the number of players drops substantially. And when millionaires get priced out and only the billionaires remain, the roster is shortened yet again. Barney Visser is proof of that.